reverse the last five steps to put everything away. I remember when I just had to hold my glass to a lever on the fridge. Regardless, we’re loving it. No living room to vacuum, no lawn to mow. There are many adjustments. We’ve only had a hand full of days to sail around the islands so far this year between projects but they’ve been great. 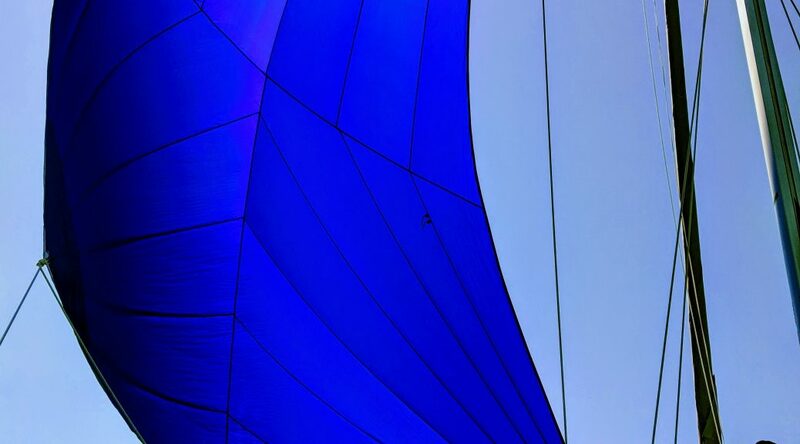 We had Justin and Emily, our friends from Spokane aboard for a long weekend and the sailing couldn’t have been better. 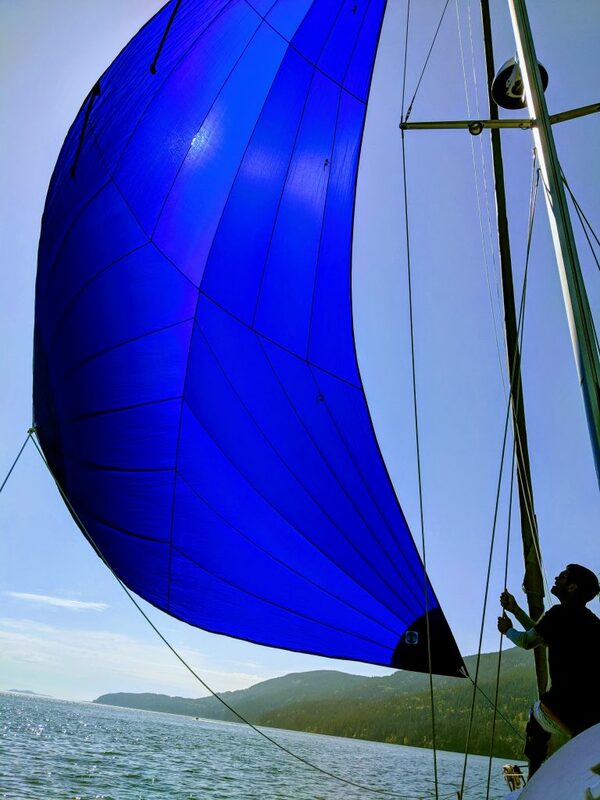 We got our new drifter sail out and sailed downwind for almost 3 hours without adjusting a thing. 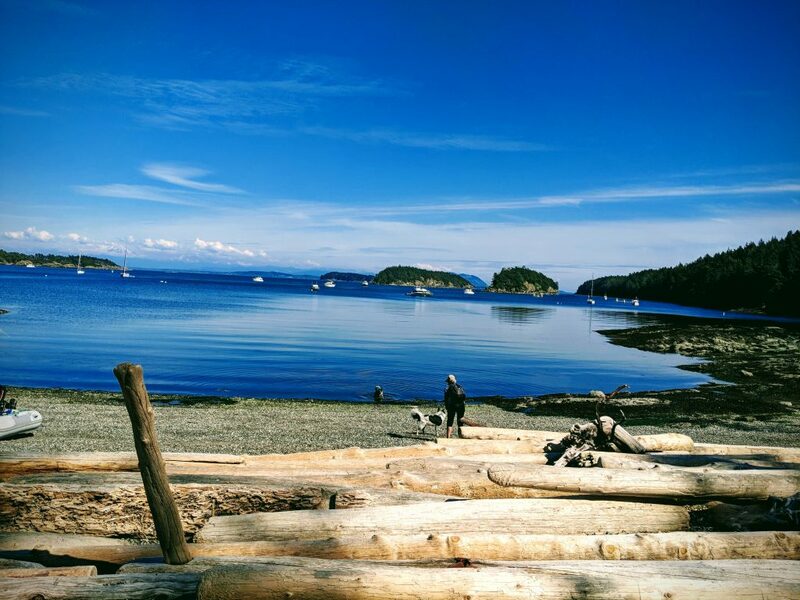 We visited Fairhaven bay, Sucia Island and Spencer Spit. I have so enjoyed your postings. All the adventures sound exciting and all the improvements seem to be wonderful. Anxious to hear more in the future. Take care and enjoy. Thanks Pam! Have a wonderful day!